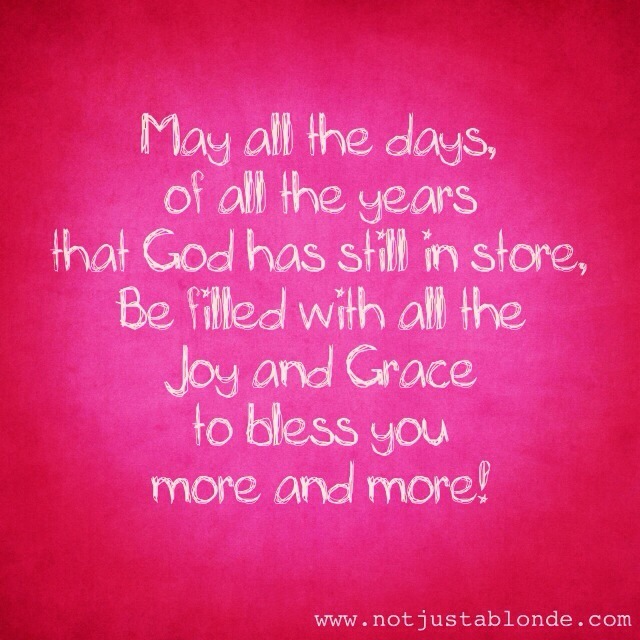 Be filled with every joy and grace to bless you more and more. 1803 is the house number of the home my Grandma and Grandpa B lived in for many years before they passed. In fact, it was pretty much considered “the” family home. My Grandpa was in the military and moved all over, however this house was pretty much considered “home base”. I lived there myself, with them for a short period of time while attending college. The influence my Grandma Bergsagel had on me spiritually was immense and I continue to feel the affects of her influence to this day. My Grandma was truly a spiritual mentor of mine. She was strong in her Faith and strong in her Love… not just for her family, but for God. To be in her presence was to feel loved. God truly worked through her to show us the Joy and Grace He promises will be ours in this life and in the life to come! Thank you a Grandma for showing me this love, giving me Joy and demonstrating true Grace. Your love is your legacy… and this blessing seems to be something you wanted for each of us who were blessed enough to know you. I love you Grandma Bergsagel… for all the days of all my years and throughout my life beyond!